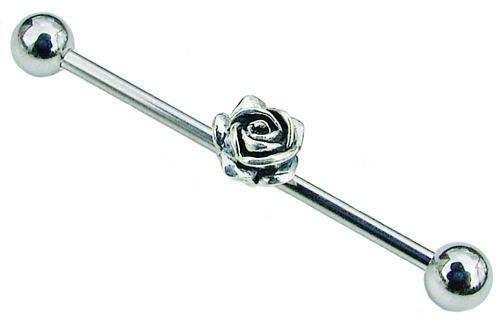 Pretty scaffold piercing barbell with a small rose charm. These 1.6mm (14g) 316L surgical steel industrial bars are available in a 30mm, 32mm, 34mm, 36mm or 38mm length. The cute surgical steel flower is removeable, so with care can be taken off and used on another bar. The best eCommerce software by ShopFactory powers P12591. All-in one eCommerce and shopping cart software.